Boulders are an inexpensive material for retaining walls of all sizes. 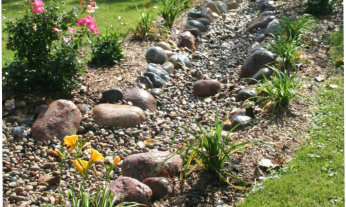 Wisconsin Granite Boulders are commonly available in our area. 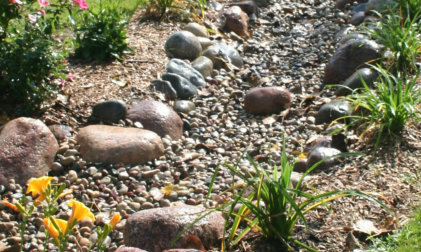 Small stones, or aggregates, are relatively inexpensive, but less permanent of an option for hardscapes. They are used to their advantage in dry creeks and ponds. 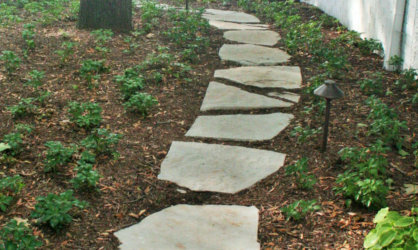 Flagstones are an inexpensive option for paths because they are relatively easy to install and less material is needed compared to brick. 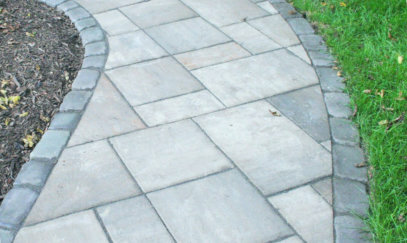 Flagstones are also an intersting option for patios. Outcropping stone is unique and beautiful, and if done right can have an unrivaled visual impact. 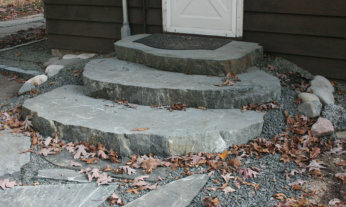 The type of stone available depends on location. Different kinds are available but will cost more to ship from other areas of the country. 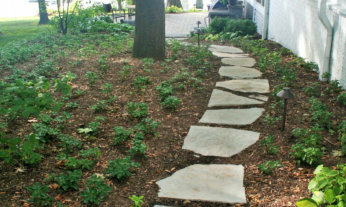 Stone is a unique, beautiful, and natural option for hardscape projects. It is heavy, and less standard and consistent of a product. The availability can depend on location. This can make certain products more expensive due to added shipping and labor costs. 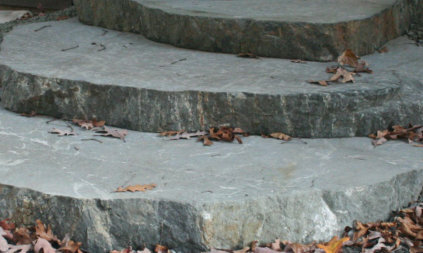 Concrete units are standard blocks that are cut or tumbled to resemble natural stone and used in walls and for steps. There are many shapes, sizes, and colors available. These man-made units are less expensive than natural stone and clay bricks as well as long lasting and standardized. They are designed for easy handing and installation, and there are many options available. 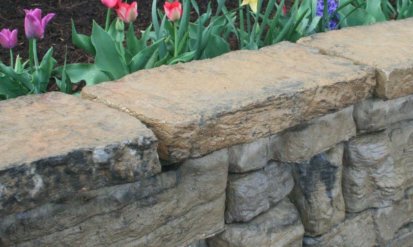 The quality does depend on manufacturing, and they are not as natural looking as real stone. There are now products that are designed to create a very natural look, even up close. There are units for walls, step units, and also flagstone type slabs. 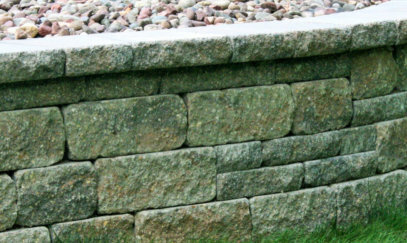 This product offers a cost- effective alterntive to natural stone while keeping the natural stone look and feel. 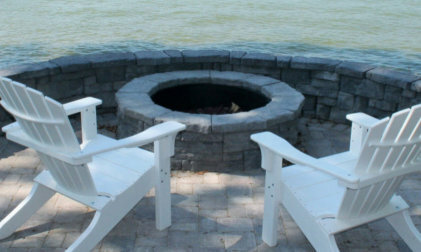 Concrete unit are available in kits to create many kinds of water features, fireplaces, firepits, wet bars, and grills. 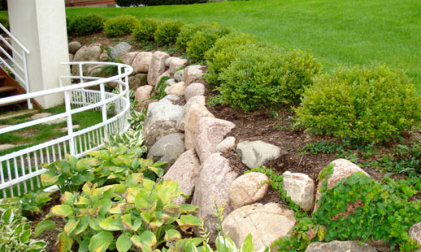 This allows for cost-effective options for impressive hardscape features.